Streets will be deserted, bustling communes will be quiet and it will seem like a ghost town. This is what happens across most Nigerian cities because many people will travel to their country homes for Christmas. 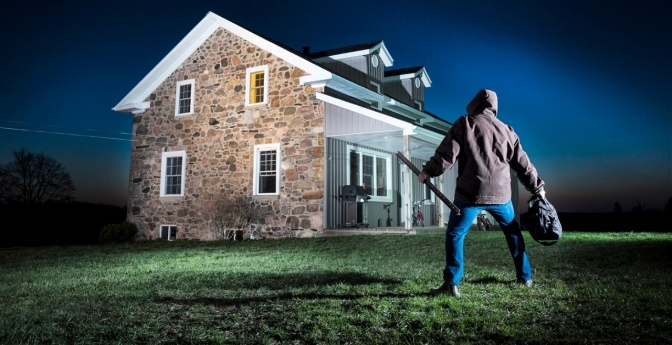 This is a time when homes may be burgled because there is no one at home. Having someone stay at your house is the best thing you can do. There are multiple benefits for not only the maintenance of your home but making sure it stays secure. But if you can’t find someone, you still have to travel and keep your home safe. With thess tips, your home will be safe and you will enjoy your Christmas without any worries. Even if you rarely speak with your neighbors, it is important to inform them that you won’t be around. This will make it easier for them to contact you in the case of any emergency. If you have trees in your house, it will make it less difficult for someone to break in unnoticed by climbing the tree. So, with the trees well-trimmed, all windows and doors will be visible and will leave no room for the burglar to duck and hide. If you don't have a house sitter, ask someone you know to at help you check from time-to-time to make sure everything is fine. You can create the impression that someone is home by setting lights and television on the timer at night. In addition to this, you can leave a car in the garage. Jumia Travel adds that this illusion will make anyone think twice before burgling your house. Even though you are traveling for Christmas, it doesn’t mean you should get away and no one can contact you. It’s important to be available in case of an emergency.